Residents in gram panchayats of Hebbagodi, Konappana Agrahara, Doddathoguru and Hulimangala now want the civic body to take over their neighbourhoods. BENGALURU: While areas surrounding the IT hub Electronics City are witnessing a real estate boom, residents are suffering because of the absence of basic amenities. Residents in gram panchayats of Hebbagodi, Konappana Agrahara, Doddathoguru and Hulimangala now want the civic body to take over their neighbourhoods. In 2012, BBMP passed a resolution to bring all three stages of Electronics City and surrounding villages under its limits. But the proposal did not take off because of various administrative reasons. 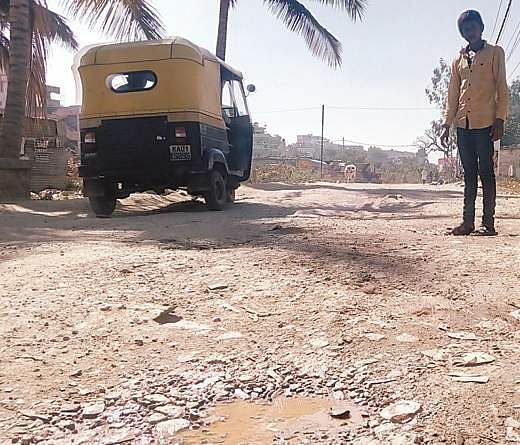 Many residents in the outlying areas of Electronics City complain that most interior roads under the panchayats have not seen a fresh coat of tar. Peter David, a resident of Silicon Town, which is part of the Konappana Agrahara panchayat, says, “We are paying high property tax compared to the BBMP limits but there are hardly any facilities here. We want the BBMP to take over these localities and provide better roads and water supply to the residents”. “We bought houses after builders assured that the government would lay the roads in a few months. Years after, these localities continue to be neglected. Many developers are constructing highrises but the government is yet to lay roads,” says K Ramagowda, a resident of Doddathoguru. K Srijith, a resident of Sampige Nagar in Electronics City Phase-2 says, “Almost all roads in this locality are in a terrible condition. Several people, including pregnant women are forced to struggle because of poor roads, but nobody cares”. Panchayat officials say they are struggling because of shortage of funds and staff. “The government should allocate adequate funds to develop outlying areas,” said an official in Konappana Agrahara panchayat. In addition to the damaged stretches, local residents are also struggling because of the incomplete drinking water and sewerage connections and the irregular garbage clearance.